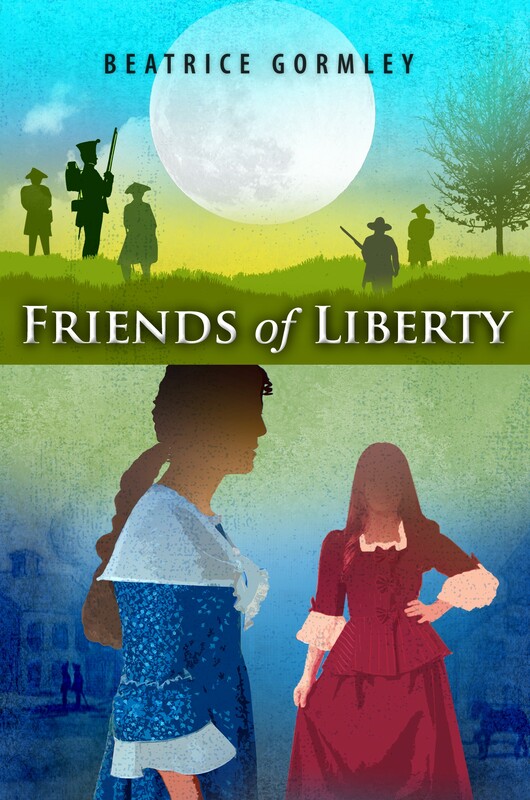 Beatrice Gormley is the author of many popular books for young readers, including her latest release, Friends of Liberty, which she writes about below. Important historical moments can really interfere with your life. Take the Boston Tea Party, a huge tipping point in American history. If things had happened just a little differently, those pesky chests of tea would have been quietly unloaded and sold, tax included. King George III and the British Parliament would have seen the light and allowed the colonies to send representatives to England to vote on such matters as taxes. The American colonies, instead of pressing on toward revolution and independence, would have remained part of the British Empire. You might think that a young person would find it thrilling to live in Boston at such an exciting time. But for Sally Gifford in Friends of Liberty, the political tempest building up around her only gets in the way of her concerns. When the story begins, the main things on Sally’s mind are her friendship with the fascinating girl around the corner — and her difficult relationship with her stepmother. Of course, most of the other people of Boston in 1773 are, like Sally, more caught up in everyday doings than in revolutionary activities. They fish for cod; they cobble shoes; they bake bread; they share their little spare time with friends. But gradually everyone in Boston has to pay attention and side with either the Patriots or the Loyalists. Sally’s cousin Ethan joins a street gang directed by that radical firebrand Samuel Adams. At the church Sally’s family attends, the preacher rails against the British Parliament. Sally’s brother-in-law, she discovers, delivers secret mail for the colonists’ committees of correspondence. Even her cautious father hosts political discussions in his shoemaker’s workshop. Slowly Sally, too, begins to pay attention to Boston politics. Unfortunately, her friend Kitty Lawton, the daughter of a wealthy Loyalist merchant, is on the opposite side from Sally’s family. Kitty doesn’t think very deeply about politics, but she assumes that the King, the British Parliament, and her father are right. Given this, it’s only natural for her to believe that the colonists who hold protest rallies, write fiery letters to the newspapers, and make trouble for Governor Hutchinson are rascals and criminals. Sally is greatly tempted to choose Kitty’s side. Besides the friendship that means so much to her, the Lawton family offers her all kinds of luxuries. As Kitty’s friend, Sally rides in a carriage, wears beautiful clothes, and enjoys fine music and books. And through Kitty’s brother James, Sally glimpses the fascinating world of scientific advances. At the same time, Sally feels the tug of loyalty to her own family. She develops a deeper appreciation for each of its members — even her difficult stepmother — and for their values. Against Sally’s will, she must decide what role she will play in the impending drama of the Boston Tea Party. Click to order Beatrice Gormley’s Friends of Liberty or to visit her website.